> Business.com > Cut costs now with complimentary quotes from top Credit Card Processing providers! worked in the past. Paying with credit cards will help increase the consumer's want to buy and help increase the company's sales; however accepting credit cards isn't quite as easy as it seems. 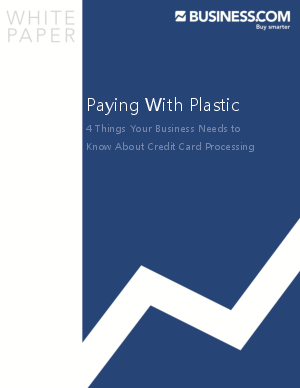 A business owner needs to work with a credit card processing company in order to allow consumers to pay by credit card. Accepting credit cards means that a business will need to worry about additional fees, regulations, and other requirments that can seem confusing if the owner is unfamiliar with merchant services and setting up a merchant account. Fortunately, getting familiar with credit card processing and how it works isn't nearly as overhwhelming as it seems.